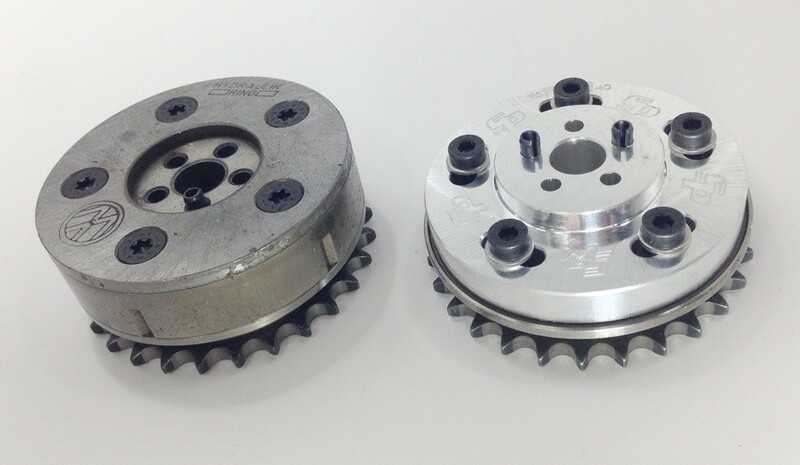 These 24V- VR6 Cam Gear plates allow the removal of the VVT (Variable Valve Timing) cam phasers. 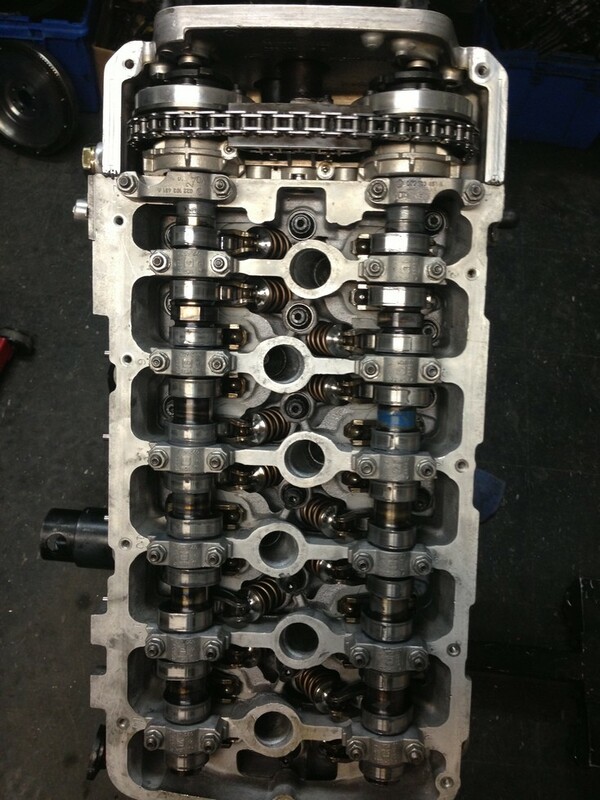 While VVT may be great for oem camshafts, most high lift aftermarket cams are not setup for use with VVT , they are built with same performance principles as non VVT camshafts and should be used the same way. 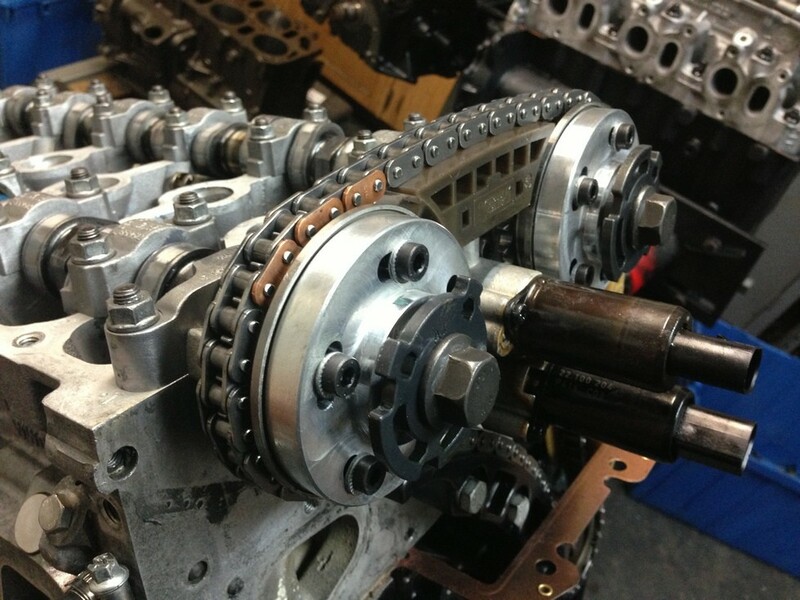 VVT relies on oil pressure to adjust cam position, which changes with temp and rpm. 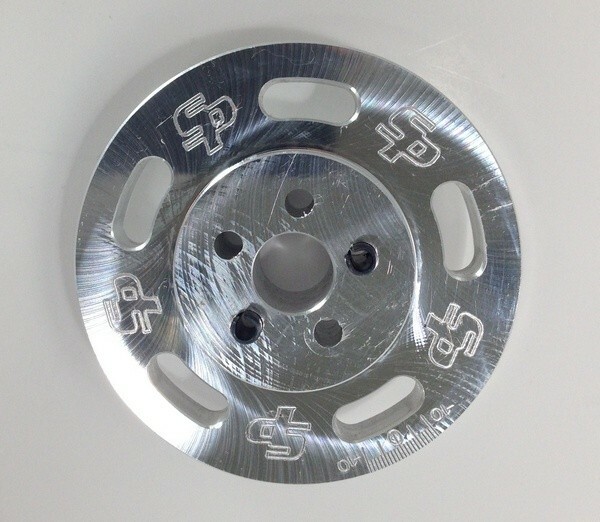 It has no time to make smart changes in high hp engines. 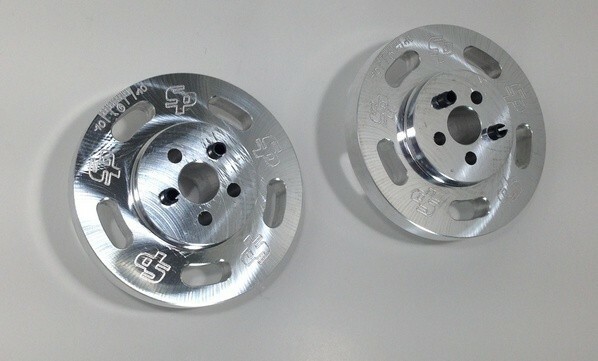 Made for 6061 billet aluminum, these weight ½ the weight of the oem cam phasers. 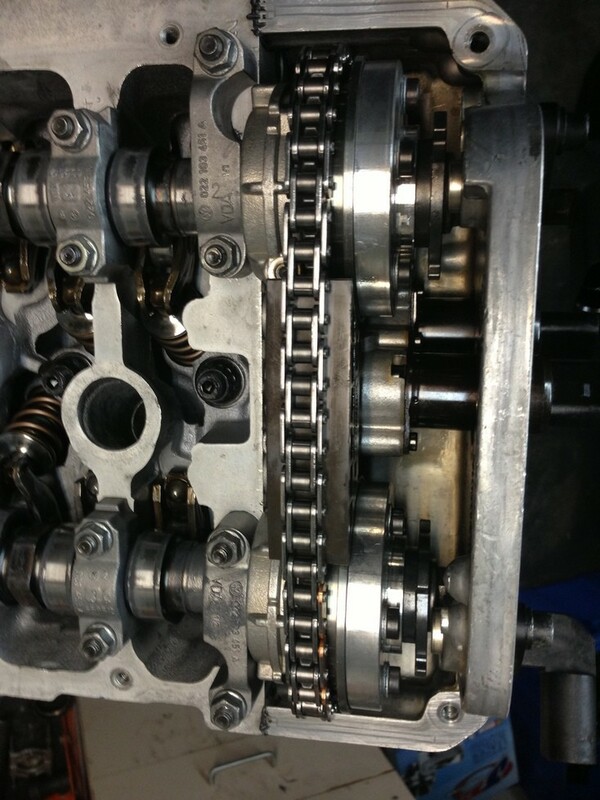 Dramatically reducing valve train rotating mass freeing up HP. 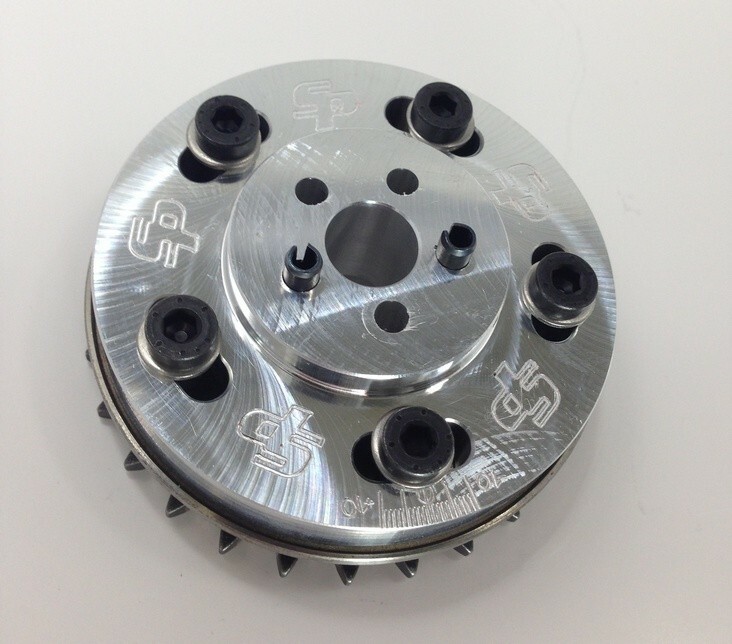 The Cam Gear Plates allow 10 degree adjustment in both retard and advance. 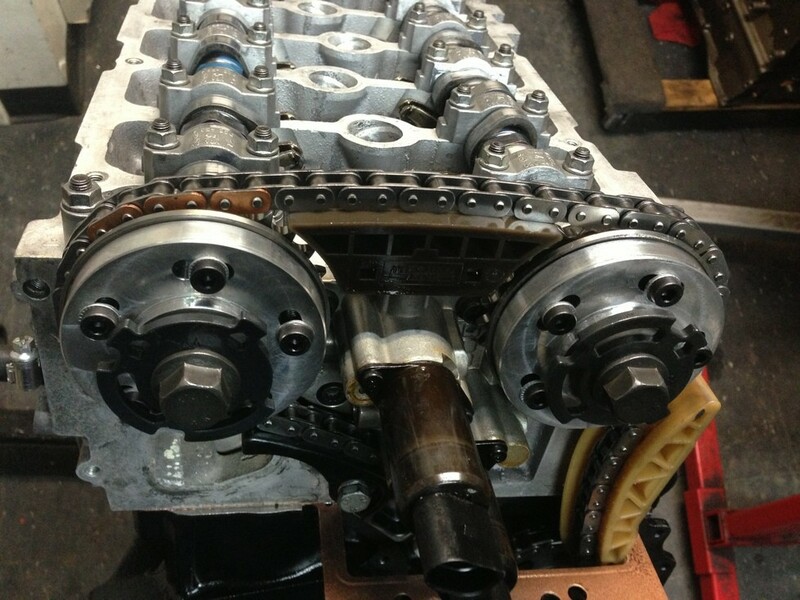 Also a must if engine cylinder head or block has been resurfaced or headspacer is being used.